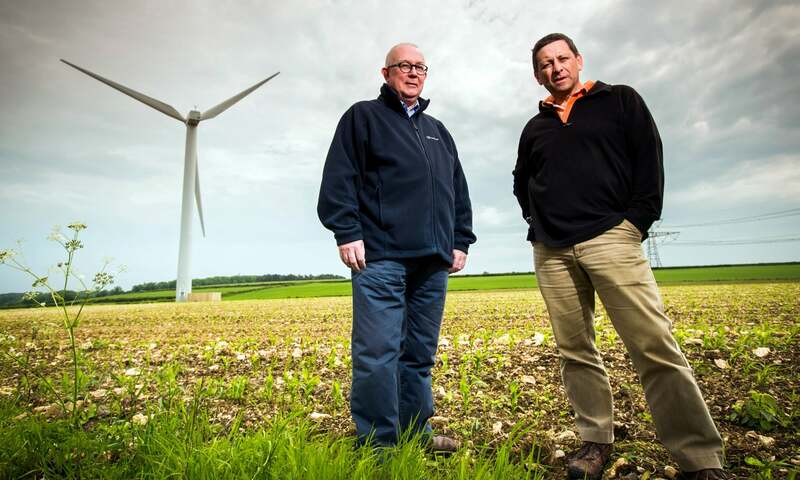 This weekends Guardian newspaper featured an interview with John Zamick and Bob Carnell of distgen talking about the challenges for the UK on-shore wind industry in light of the anti-wind stance of the newly elected Conservative government. Despite a few factual slip-ups the article paints an accurate picture of the current state of play in which everyone is waiting to see exactly what materialises from the anti-wind pre-election rhetoric. Communities secretary Eric Pickles faces legal action after overruling HM Government planning inspectors to refuse a wind farm development by Ecotricity. The proposed four turbine wind farm near Highbridge in Somerset had been supported by both local planning officers and the Inspectorate who agreed that despite significant impact on the immediate landscape, it would be able to accommodate the development which would, at larger distances still appear quite small. Mr Pickles agreed with with these points but decided [and this is key] without actually visiting the site himself that the intermediate landscape would be affected to a level that was not offset by the environmental benefits of the scheme. “Mr Pickles’ decision is a political intervention in the planning process – it’s anti-wind posturing as all his interventions in the planning process have been, and par for the course from this government. We’ve worked diligently through the entire planning process, passed every test, including a public enquiry – only to have our application refused by a man that knows nothing on the subject, and cares even less. What faith can anyone have in the planning process when this can happen, when the rules are thrown out of the window on a whim? The chief scientist at the Met Office, Julia Slingo, has said that the extreme weather that has hit Britain over the winter of 2013/14 is linked to climate change. More than 130 severe flood warning were issued in December 2013 compared to just 9 during all of 2012. According to Met Office data 4 0f the 5 top wettest years on record have all occurred since 2000. While its true and single extreme weather evens do not by themselves prove climate change is happening, the increasing incidence rate of such events is alarming. Many of the record highs, lows, droughts and floods have been set in the last 10 years. 2014 and California is suffering the worst drought on record with severe flooding in the UK.